Box Lunches offer many things that party platters and other catering options don’t: ease and convenience. A box lunch typically has everything you need for your meal in one box and are a convenient meal option when in a hurry or on the go. Below are 5 times when a box lunch is the best option for getting your group fed. 1. Meetings. Business meetings on a tight schedule and a full agenda can be frustrating to say the least. Providing lunch for attendees tends to keep people more focused on the meeting and less on social conversations. Providing a Box Lunch for each employee gives them everything they need in one convenient box, including dessert! This Eliminates time wasted in a line while people decide which sandwich or salad to try. It also stops people from interrupting the meeting by getting up for another serving. 2. Traveling. Whether traveling by air, road or train, bring along a box lunch. Airports are notorious for having expensive, low quality food. In-flight food is not much better, and has often run out by the time your row is served. Bringing your own box lunch gives you the peace of mind knowing that you will have a healthy and delicious lunch available, especially for those looking for a meal that is gluten free, vegan, or vegetarian. 3. Off Site Meetings. Sometimes work requires us to have important meetings off-site. Providing lunch at these meetings can prove to be a challenge. We often do not know what the meeting space will be. Providing platters may not be feasible. Box Lunches can be eaten just about anywhere — in small spaces, without a lot of table space. They are easily adapted to just about any situation! 4. Weddings. When people think of catering for weddings, they imagine beautifully presented platters on elegant table settings. But many people forget about the other important meals associated with the wedding. The morning of the wedding, the wedding party is often so busy with last minute details they do not get a chance to sit and eat. 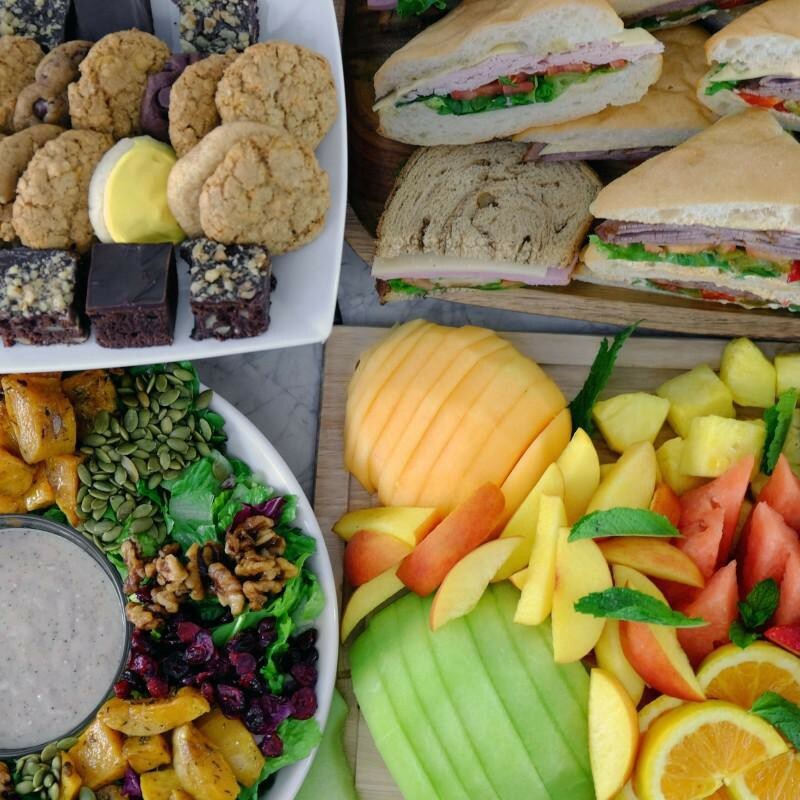 Providing each wedding party member with a gourmet box lunch allows them to get a quick bite when they can. 5. Rehearsal Dinners. Perfecting the wedding ceremony can be an arduous task. After hours of rehearsing, many of the wedding party are tired, hungry, and just want to take a break from it all. Box lunches are a great option for a quick meal, or a social gathering afterward, which ever proves necessary. Box lunches are a great meal option. They are easy to order from your local caterer and can be quite cost effective. Many caterers — such as Ingallina’s Box Lunch in the Seattle, Los Angeles, Portland and Phoenix metro areas — offer a menu with reasonable prices and free delivery. Whether planning a corporate meeting, or an outing with the family, be creative when planning meals and always keep the ease and convenience of a box lunch in mind! Contact Ingallina’s Box Lunch for box lunches, party platters, cookies, salads and more for your celebration.